How to draw a Lily pencil step by step? 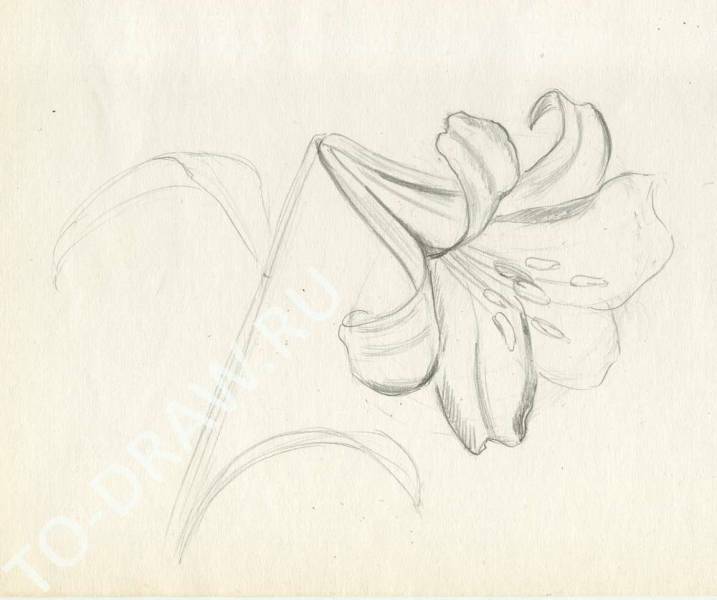 How to draw a Lily pencil in several stages? 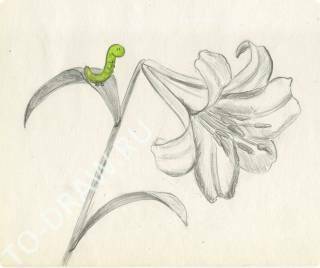 At first glance it seems that Lily is very difficult to draw - open, curving petals create a misleading impression of the difficulty of form, but rather its understanding. So first you need to carefully look at the flower and see how you can break the shape into simple components. We'll make it the first step in our lesson. Thus, the base of the flower, adjacent to the stem, has a cone shape - draw an elongated triangle. Petals! If you mentally draw around the outer edge, then get an oval shape that partially overlaps the cone. Draw the initial sketch of Lily. 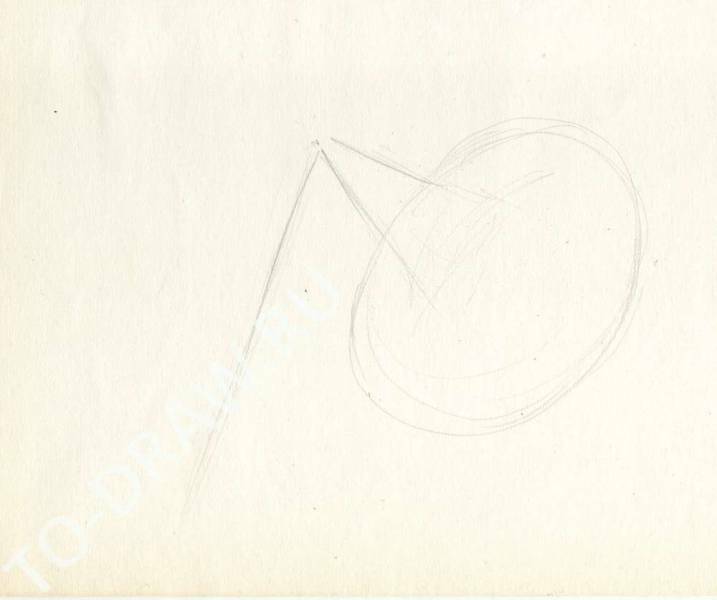 Then, about focusing on the oval, draw the petals. 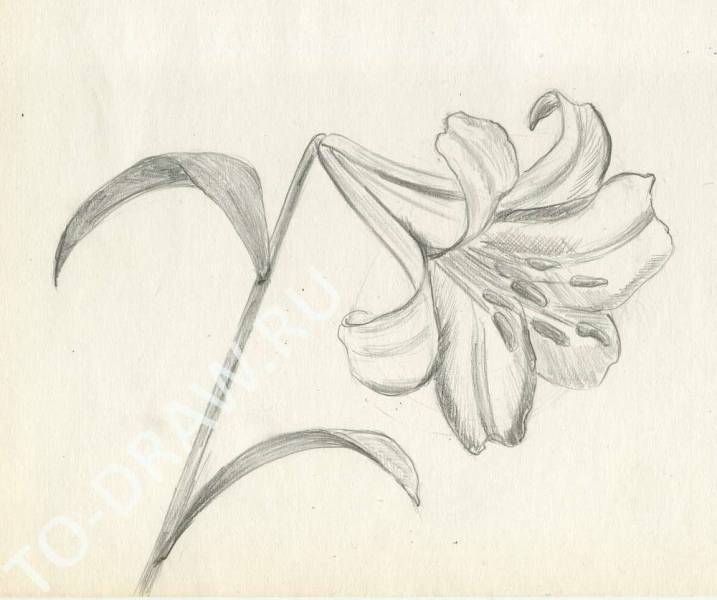 I thought the oval I drew too small and the petals of the Lily I go for the contours. The petals are wavy in places. 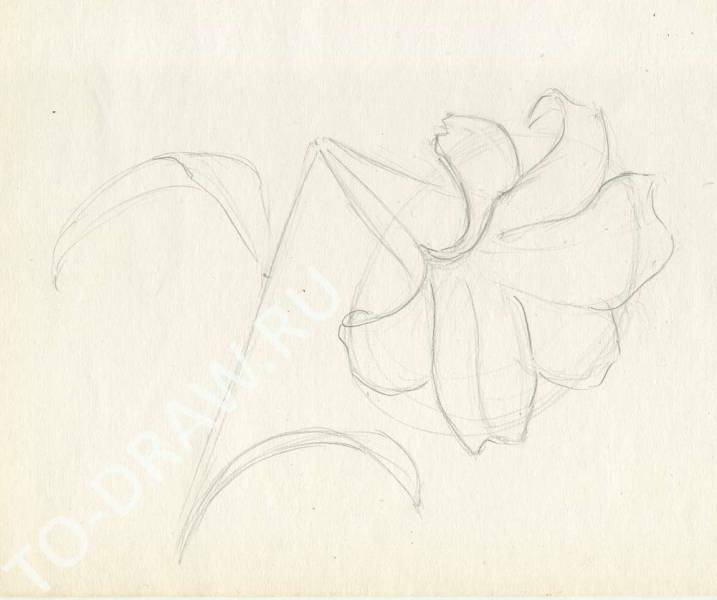 Try to convey the beauty of the lines of the flower. Add Ostia on the stalk. Begin to draw the details. The next stage draw stamens and begin to add tone to the picture. Add to the picture tone. The edges of the leaves and place the overlap of one sheet to the other darker. Somewhere very clearly "read" the outline of the petal, and the edges look softer. The lower side of the leaves darker than the top. Brighter highlight the place of snapping leaf to the stem. Stamens not filled uniformly, but also with a change of tone.